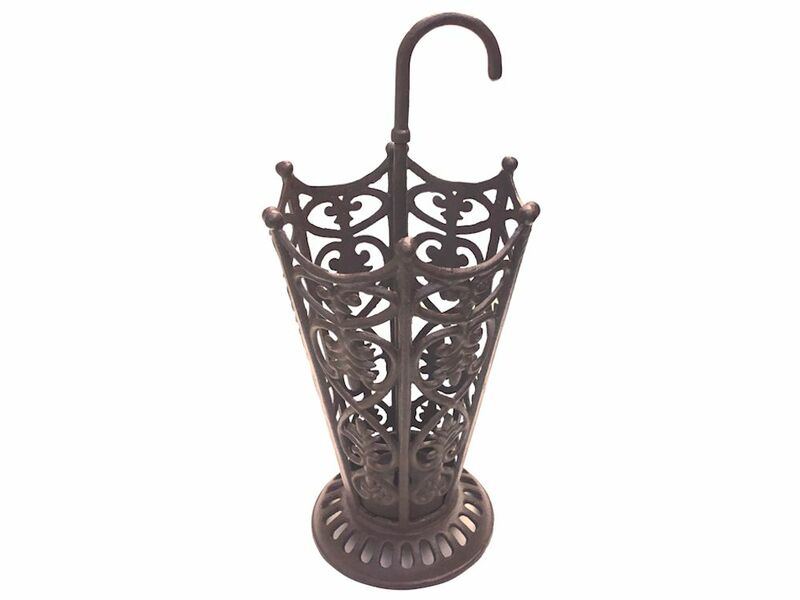 Add a fancy flourish to rainy days with this wrought iron umbrella stand designed in the shape of an umbrella. 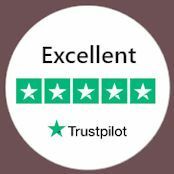 Made from strong iron with a black finish for old-fashioned charm, the umbrella stand has a lattice-like basket, arranged between the rounded-end poles of an upturned umbrella, there's even a central stick with a curved handle that give a humorous flourish and allows you to easily move it. The ornate metalwork creates a lovely decorative feature in the hallway, and the round, slatted base gives it a reassuring heavy weight and adds to the industrial appeal. The black iron umbrella stand is perfect for adding vintage character to your doorway.